Children are welcomed by the staff, who encourage them to choose from a variety of activities, both indoors and outside, including those which are teacher-guided. Gather in Quiet Room for Book time; Whole class activities; Songs; Show and Tell time. Outside play / garden activities. During this time children have a turn in a Small Group activity guided by teacher, including Music and Movement, French, Science and Circle time. Children may stay at the nursery for an extended session until 5.00pm. During this time there is a range of free play activities available, a further snack time, and story time. Children are normally admitted to the Nursery School at the beginning of the term after they turn two years and six months, either the Autumn term (September – December), Spring term (January – March) or Summer term (April – August). Children may attend for 4/5 morning sessions, 3/4/5 afternoon sessions or 3/4/5 full days. or 9.00 – 1.00pm (4 hours) including lunchtime, bringing their own packed lunch. Maximum number of children 36, with two fully qualified teachers, two Early Years Professionals and a teaching assistant qualified to degree level. or 1.15 – 5.00pm (3¾ hours). Maximum number of children 36, with two fully qualified teachers, two Early Years Professionals and two teaching assistants qualified to degree and NVQ3 level. These sessions are shorter in duration, so they are suitable for the younger children, but the activities offered are similar to those in the mornings. The afternoon sessions provide an ideal atmosphere for a child who may need his/her parent/carer to stay for longer during the settling-in process. Full Days: 9.00am – 3.45pm or 5.00pm. The Nursery School is registered as a daycare provider, and children may stay for the full day, bringing their own packed lunch. The Nursery School uses dates supplied by the local education authority to draw up its term times, and provides 36 weeks of schooling per year. The term dates are broadly in line with those of state schools, usually finishing a week earlier at Christmas and in the Summer. 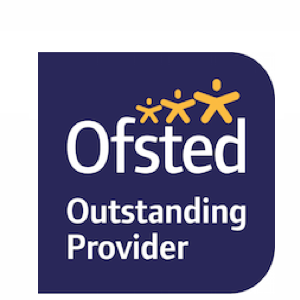 Staffing ratios at Maria Grey are better than the OFSTED minimum requirements of 1:4 for under 3s and 1:8 for over 3s. Nursery school is usually your child’s first opportunity to socialise outside the family, and our aim is to make this transition a positive and easy step for you both. Prior to entry, new children and their parents may attend an open session or settling-in visit. Some children may need a parent or carer to stay initially for the first few sessions to settle them in. It is preferable to leave a happy, settled child when they are ready, than to leave too soon, and a gradual staged approach can be adopted if necessary. This can be discussed with staff. It is desirable, although not a requirement, that children are toilet trained on entry to the nursery school.